It’s the return of a fantastic vintage fair this month as Newcastle Does Vintage returns to the region, heading to The Biscuit Factory on Sunday 11th February. At just £2 entry, it’s bang for your buck as you can peruse all manner of authentic vintage stalls, and check out one of the best vintage tea rooms with live music to soundtrack a glorious experience. There are a range of traders, styles and a whole host of other goodies in store, as this vintage fair now becomes a real mark on the calendar for vintage clothing fans. Running from 11am until 4pm, bargains will be snapped up, and new outfits put together, as vintage comes to Newcastle in a big way. 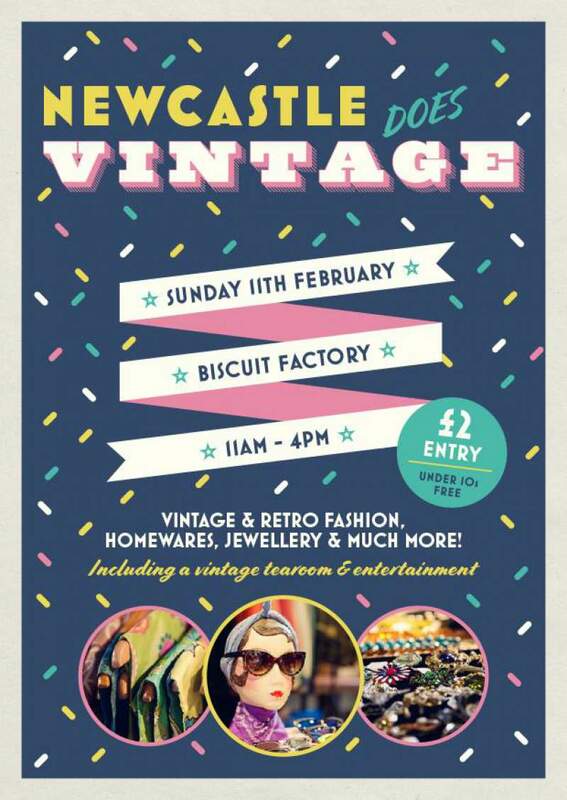 Newcastle Does Vintage is at The Biscuit Factory, Newcastle on Sunday 11th February.